The International Student Film Festival has always held to the highest esteem the simple act of holding up the camera and positioning it against reality, whether the existing one or the staged one. This is initial, primal form of filmmaking, works made possible by etching reality on celluloid, and later on, with the help of the digital byte. This year, by the initiative of and in collaboration with the Makor Foundation, we chose to focus on a different kind of cinematic creation – animation, an art that creates ex nihilo. 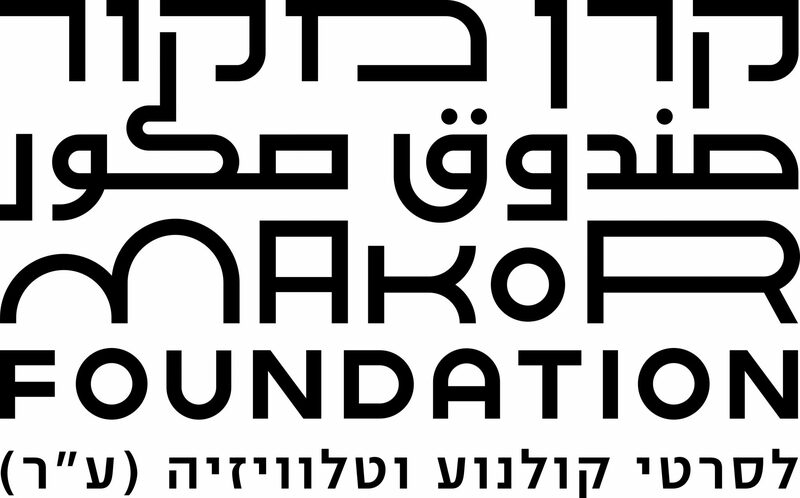 As part of the initiative, the Makor Foundation will provide a production grant in the sum of NIS 150,000 for a first, animated work by a promising young artist. Of the proposals submitted to the project, seven proposals made it to the next level, and will be presented before a panel of judges at the festival’s pitching event. The winning proposal will receive the production grant and the final outcome will be screened at the 2019 International Student Film Festival. In line on an ordinary day at the health clinic, three elderly women reach the understanding that by tampering with the pre-ordained death queue determined up above, they can delay their own doom. Instantaneously, they form a murderous pact and set out to not only ensure their own survival, but also to settle some old accounts with those who have mistreated them. The bureaucratic catastrophe that they inflict on Death quickly turns into a personal vendetta between them. Shadowed by life-changing events in his family life, Evia, a young, naive boy, is about to deal with his greatest fear, the black slide – the most frightening slide in the water park. Mary the sheep seeks her destiny and understands that she must persevere and not give up her dream in order to realize her goals in life. An adaptation of Etgar Keret’s contemporary, surrealistic version of “The Tale of the Fisherman and the Fish” by Alexander Pushkin. Sergei, a Russian immigrant and a fisherman, has to choose whether to be a murderer and keep his last wish granted by his goldfish, or to use his last wish to save a stranger’s life, but, in doing so, he will lose his only best friend, the goldfish, and be left alone. Based on the true story of the filmmaker’s father, the film takes place in 1948, during the War of Independence, in which his father, Gadi, lost both of his parents during the siege of the city of Jerusalem when he was only a 4 year old boy. The film focuses on the weekend his mother was killed. Since the deceased cannot be carried on the Sabbath, the entire family of ten spent this dark Sabbath inside the two-room apartment where they lived, together with their mother’s body. Six year-old Tamar travels abroad for the first time with her father, Paul. On their journey, Tamar will be exposed, for the first time, to her father’s disability, while he himself will be required to reveal things that until now were kept a secret. When the Yom Kippur War began, Eli was a tank gunner in the Golan Heights. The filmmaker interviews Eli, her father, about the day the war broke out and paints a collage of his memories. Creative director and CEO of the Makor Foundation for Israeli Films, a filmmaker of documentary, experimental, narrative, and video art. His works have been screened at international festivals, broadcast in Israel and around the world, and exhibited in major art exhibitions. Among his films as producer and director are “The Avoidable War”, “Fire and Rage”, “Dangerous Children”, “Eshbal”, “Perfect Family”, “6 Open, 21 Closed”, and “’66 Was a Good Year for Tourism”. A video artist, holds a BA and an MA from Bezalel Academy of Arts and Design, and since 2013 has been a lecturer at the Bezalel Academy of Arts and Design, Jerusalem. Animation director and visual artist specializing in stop motion and integrated media. A partner at TOM & HANI Animation. Animation director, producer and artist as part of the duo “Nir and Gali”. Head animator for Ari Folman’s film “Waltz with Bashir”. A graduate of the department of Animation at Bezalel Academy of Arts and Design, Jerusalem. Animator, curator, filmmaker, and head of the department of Screen Based Arts at Bezalel Academy of Arts and Design, Jerusalem. Moderator – Independent producer and filmmaker, content editor and adviser, creative adviser to film foundations, co-founder of the Israeli Academy of Film and Television.